Most of us would recognize this face and his wonderful innings in the ICC T20 finals. No wonder, Virat Kohli steadily climbed the ICC ranking ladder and was rated as a top-ranked batsman. We peeked into his diet and got to know that this dynamo runs on protein. Protein powers Virat Kohli too! But ever wondered what fuels this dynamo on, apart from immense passion? Well, needless to say, it’s fitness and diet (mainly protein)! 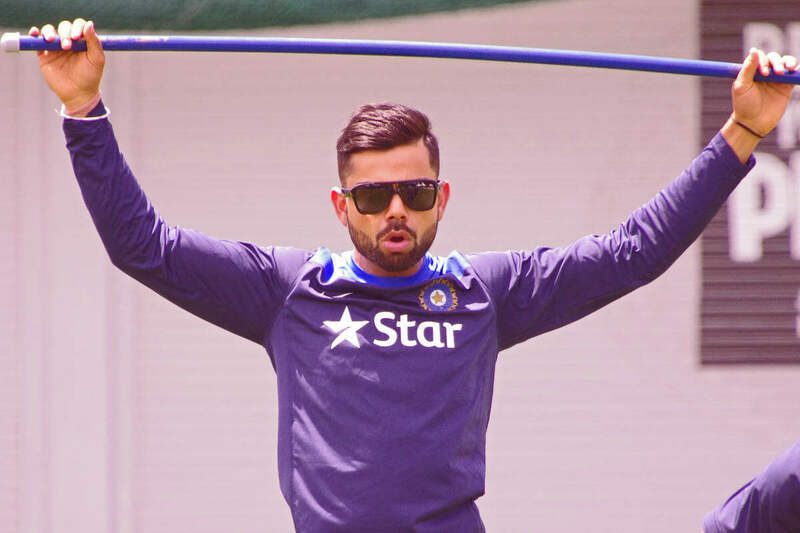 A self-confessed foodie, Virat is said to be extremely fitness conscious and keeps a keen eye on his food and training habits. While travelling, he snacks on high-protein foods such as lamb and pink salmon, and complex carbohydrates from salads. This protein-centric diet helps in powering his rigorous gym and practice sessions. Now if reading this makes you feel more conscious about your diet, feel free to drop by at one of our centres for a free diet consultation. Cricketers have the highest requirement for protein and all that is required for increased athletic performance, reduced body fat (hence improved agility), and better immune function. Apart from its muscle building traits, protein does an incredible job in weight loss. 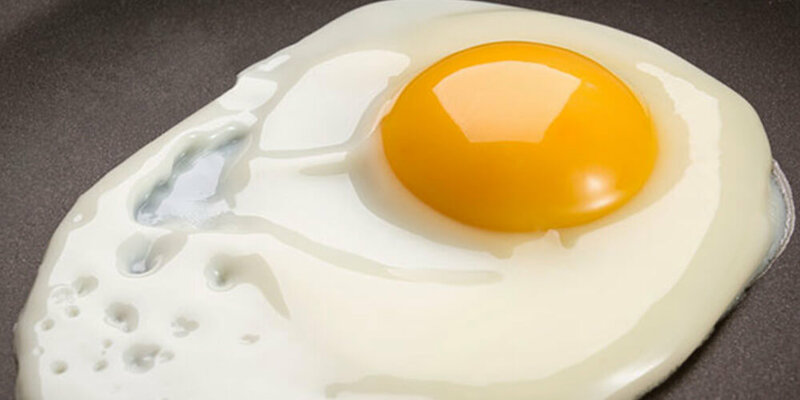 Let’s understand the importance of protein in our weight loss journey. “Protein is made up of several building blocks called amino acids. There are 20 amino acids. 11 are called non-essential because our bodies can make them. 9 are called ‘essential’ because our body cannot make them and we must get them from foods that contain these amino acids. Additional read: What do other players eat? You need protein foods in your diet to help your body repair cells and make new ones. Protein is also important for growth and development during childhood, adolescence, and pregnancy. 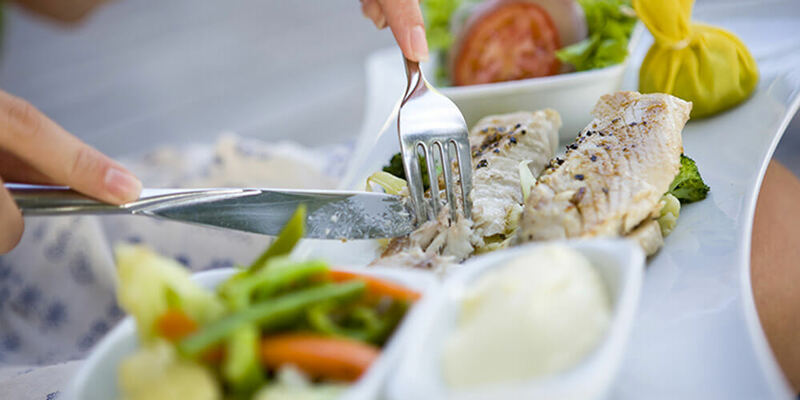 The moment protein leaves your fork, it starts winnowing your waistline. High-protein foods require more effort to digest and metabolize, which means you burn more calories processing them. Protein also takes longer to leave your stomach, so you feel full sooner and for a longer amount of time. The cumulative effect has obvious benefits for those watching their weight. Protein foods are doubly essential for making sure you lose fat, not muscle. Your body uses the amino acids in from a high protein diet to build lean muscle, which not only makes you stronger and more toned but also burns calories even when you’re not active—unlike lazy fat. Ultimately, this keeps your metabolism humming along at high speed so you can burn off the occasional cookie. Protein stimulates the production of satiety hormone leptin and dampens levels of the hunger hormone ghrelin. If you’re not very sure of how to calculate your protein intake, call us for a free home consultation. Unfortunately, most of us consume less than the desired level. Cricketers have the highest need for protein, upto 2gm/kg body weight/day. Animal sources and dairy products are the best sources of proteins. 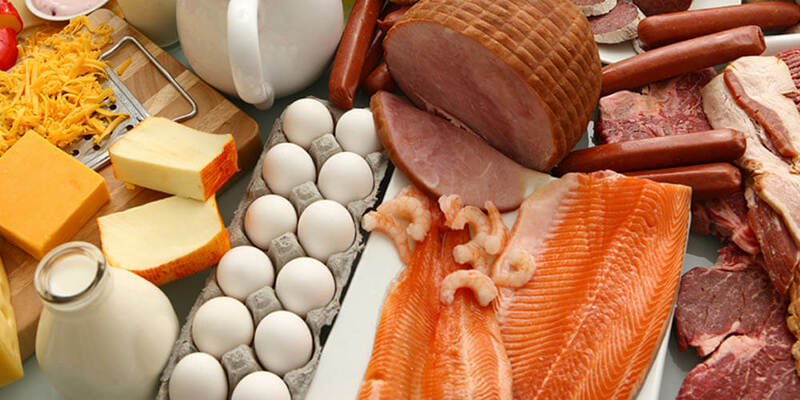 Proteins of animals include lean meat, eggs, poultry, seafood and dairy products include milk, cheese, paneer and yogurt. Legumes are rich sources of vegetarian protein. For vegetarians, it is important to eat enough quantity of dal and legumes. In fact, legumes are one of our favorite food groups for weight loss and they include tasty foods like rajma, chole, beans, lentils, etc. Chickpeas especially have very high protein content at 16%. Sprouts are again a very good source. Nuts like cashew, almonds, and peanuts are good sources of protein. But please do not indulge in over-eating, as they are a high source of fat as well. Proteins are also available in supplement form: protein powder, protein shakes, protein bars. 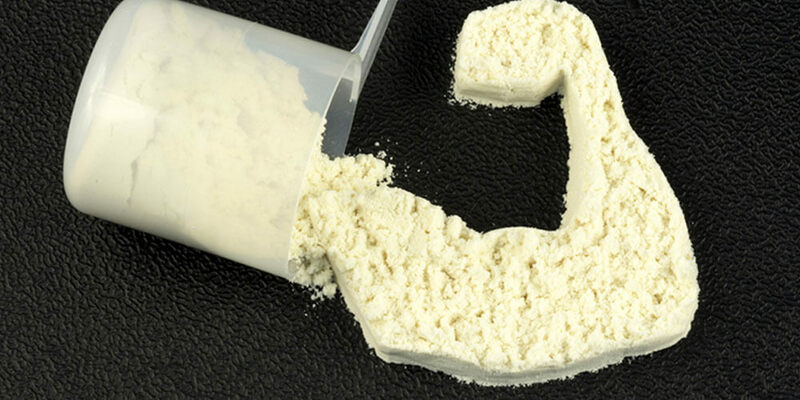 Is Protein Shake a valid supplement? Protein shake: yay or nay? We must reach our minimal protein goals, but many of us don’t consume adequate amount and so, a protein shake is the best option. The problem is acute with vegetarians as their source of protein is limited. A normal person eats around 30 gm of protein, whereas it should be 50-70 gm depending on one’s weight. So protein supplements are a good option. It is safe to have a protein shake, as long as it is taken in moderate quantity. Avoid Soy based protein and opt for whey protein. 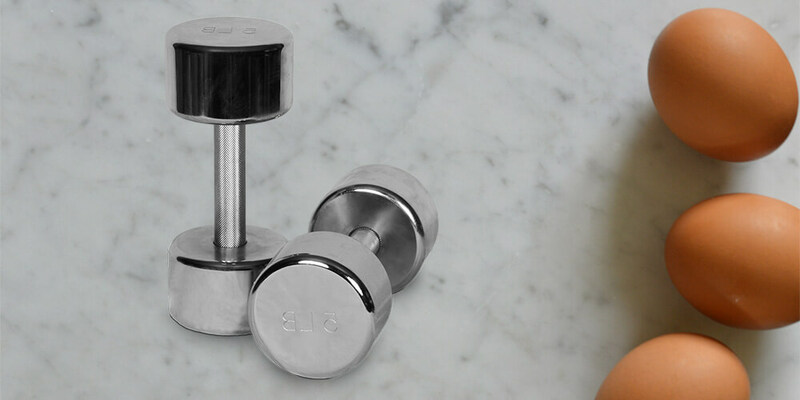 A protein shake is especially useful when you are working out, it amplifies the results. However, if you are not in a fitness regime, do not exceed your protein intake to more than 15 grams of a protein shake every day. So you have decided to take up cricket or any sport seriously. Your foremost concern would then be meeting the protein requirements. Here are some quick tips for the budding cricketer or athlete in you. Spread out lean protein sources throughout 5 to 6 meals. Once you are used to this pattern of eating, it will help in powering you on during matches. Observe your diet for 2 weeks. That way you will understand if you are meeting the recommended 2gm/kg body weight a day requirement. Protein before and after a match is very important. Protein supplements come handy here. It could get hard to eat too much protein but slacking on it is way too easy. So rather err on the side of more protein as it will physically support your endeavour to be an ace athlete, a la Virat or Dhoni! !